One of the most frustrating brick walls I’ve encountered is the mystery of Baby Rose Schoenthal. I have written several blog posts about Baby Rose, and I have never had any success in finding this child. I stopped looking because I was troubled by the possibility that if I did find her or a descendant, I might be stirring up trouble for some unknowing person. Some background for those who may not remember the story. On the 1930 census, my grandmother’s first cousin Jacob Schoenthal and his wife Florence are listed with a 15 month old daughter named Rose, living in Atlantic City, New Jersey. But that there is not one whit of evidence to support the existence of that child aside from that census entry. I have searched for birth records, death records, marriage records. Nothing. I found Jacob’s will—no mention of a daughter. There was no daughter buried with Jacob and Florence. She would have been only eleven in 1940, but she does not appear on the 1940 census. I had decided that either (1) she never existed or (2) she’d been given up for adoption or (3) she had been a foster child returned to her own parents. Then in March 2017, a Schoenthal cousin found me through the blog. Barbara wrote that she was the granddaughter of Estella Schoenthal, who was my grandmother Eva Schoenthal’s first cousin and Jacob Schoenthal’s sister. Barbara and I are third cousins. We exchanged information, and she filled me in on the names and dates of the descendants of Estella Schoenthal and Leon Klein. But perhaps most importantly, she gave me closure on that nagging question: Did Estella’s brother Jacob Schoenthal and his wife Florence Truempy have a daughter named Rose born in 1928 or 1929? Barbara asked her mother, who said without hesitation that Jacob and Florence never had children. Could she be wrong? Of course. 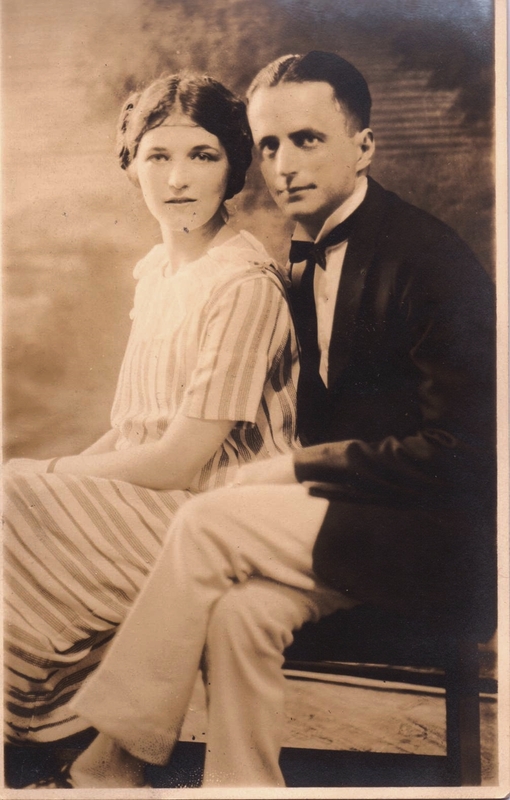 Barbara’s mother might not have been born in 1930 and she definitely was not yet married to Barbara’s father in 1930, and so it’s entirely possible that IF Jacob and Florence had a child who was given up for adoption or only lived with them for a brief period, Barbara’s mother would never have known. But I have chosen to believe that Barbara’s mother is right. I have chosen to believe that Baby Rose never existed. It never made sense to me that she’d been given up for adoption because she was already 15 months old (if she existed) in 1930, and there’s no reason to think her parents would have given her up at that point: they were mature adults and married, living comfortably, and had plenty of family around for support. Also, the child’s name was Rose Maxine or Maime (it’s hard to read). 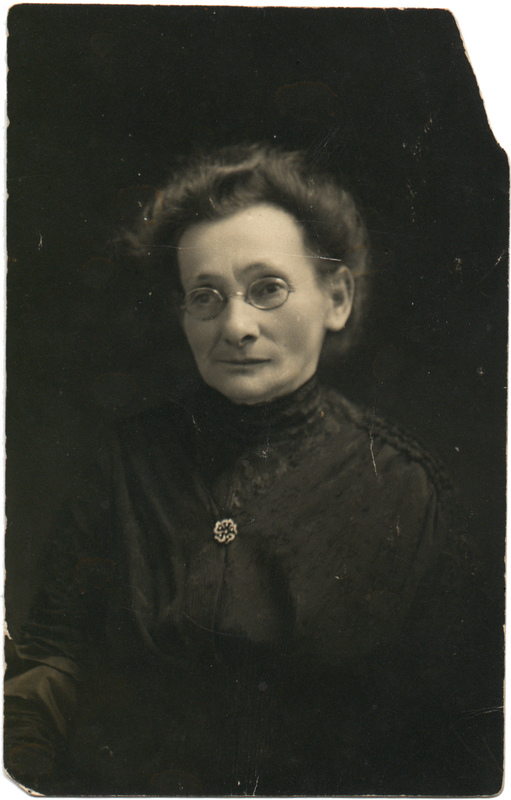 Jacob’s mother’s name was Rose Mansbach Schoenthal. She had died in May, 1929, four months after the supposed birth of the child Rose in February, 1929. It seemed very unlikely that Jacob would have named a child for his mother before she died. I also didn’t buy that “Rose” had been a foster child. It seems quite an unlikely coincidence that a foster child would have the same name and middle initial as the mother of the man acting as her foster father. 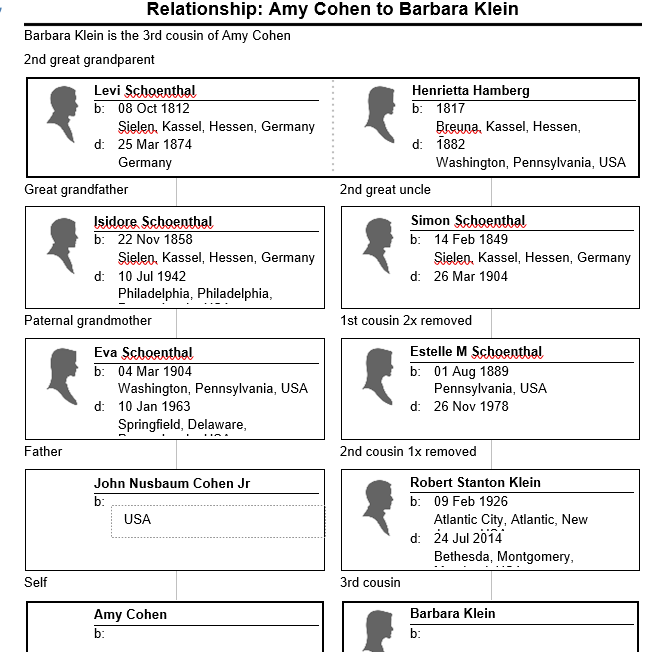 So with the statement by Barbara’s mother that Jacob and Florence never had children, I am willing to close the door on the mystery of Baby Rose M Schoenthal. I think the census enumerator made a mistake. My working theory? That the enumerator was told that a Rose M had lived in the household until fifteen months before, and somehow the enumerator recorded that as meaning a fifteen month old child named Rose M was currently living in the household. 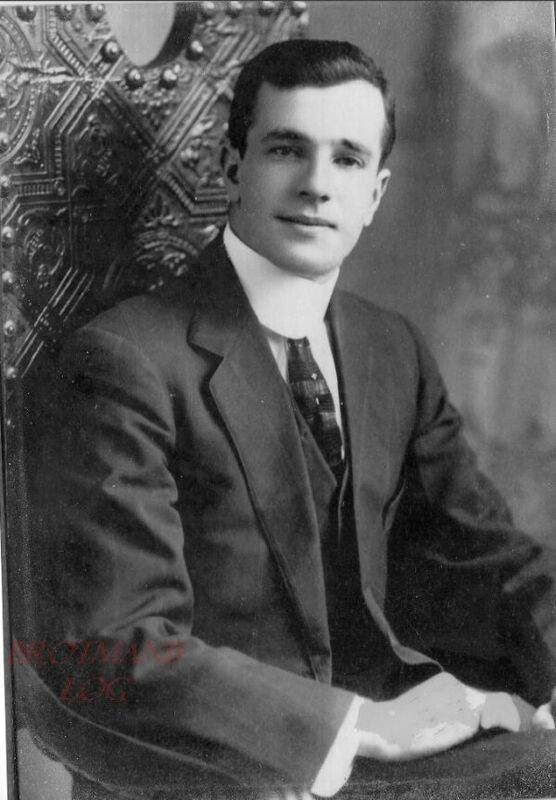 In addition to helping me with that mystery, Barbara also provided me with this handsome photograph of Sidney Schoenthal, her great-uncle and my grandmother’s first cousin. 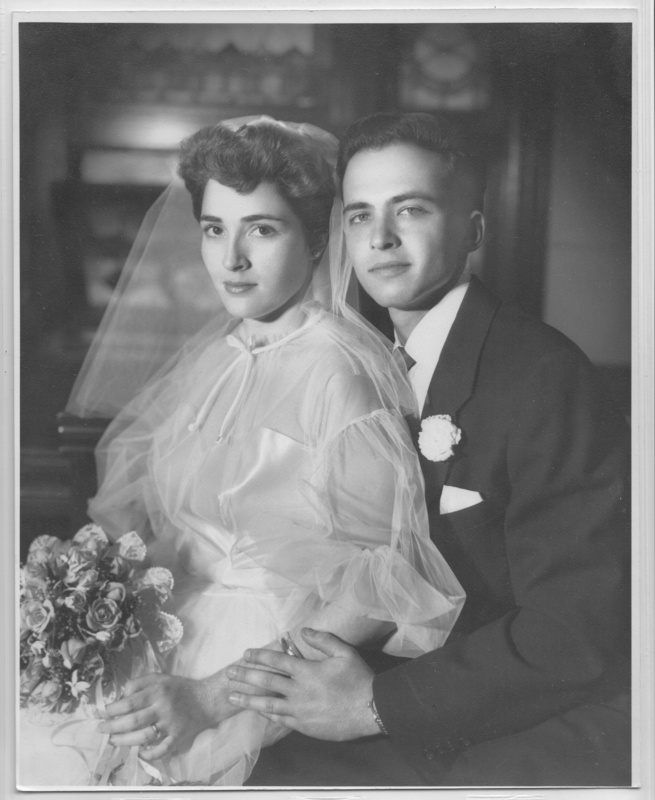 I see a resemblance to my grandmother (first photo below) and to my father (second photo below)—what do you think? I am very grateful to Barbara for helping me get closure on Baby Rose. And for sharing this photograph of my cousin Sidney Schoenthal. This entry was posted in Genealogy, New Jersey, Schoenthal and tagged atlantic city, schoenthal by Amy. Bookmark the permalink. Glad you were able to close this mystery. Me, too! Do you think I reached the right conclusion? I think so. Since there were absolutely no other records of stories in the family. In my family the youngest daughter of a sister with many children was given to a sister without children to raise as her own. (She had married a first cousin.). But my grandmother was very much aware and told me this story of her first cousin. So I think someone would have known if they fostered a family child. I think so also—that someone would have known. The only thing that will continue to befuddle me is how specific her age was on the census—1 and 3/12. You rarely see that kind of specificity! But I am resigned to accepting that some things we can never know for sure. Thanks! I can see why this would bother you! I was a third of the way through the post and already wanting to find Rose! I love when you get to see new pictures of family members. Sidney really looks like your grandmother, especially in the eyes! I think so also—and I see a resemblance to my dad in the lips and smile. Thanks, Katie! I am not yet satisfied that a child did not exist. Whoa, they lived in Atlantic City when it had quite the rough history – what stories they could have told us!! Yep—that whole line of my Schoenthal family lived in Atlantic City during its heyday—and ran hotels! Even better to get the scoop on everything! Too bad they’re all dead! Intersting, Amy! I’m still dubious but your conclusion IS reasonable. Here’s my silly question; your cousin, Sidney, appears to be wearing a shirt collar which is a solid column, perhaps similar to a priests collar, but it’s tall and overlaps his tie’s knot. Have you ever seen this sort of male fashion before?? It just caught my eye!! Hi Sue, I would be dubious also if I hadn’t spent hours and hours searching for this child. And even so, a part of me will always wonder…. I am no expert on men’s fashion (or women’s fashion), but I could find out. There are people who a real experts at this! been born. I now think it was a misunderstanding with the enumerator too. I am glad you agree—it is a tough one to let go of! Amy, Yes I see the resemblance between Sidney, Eva and John. My, my there are some very pretty women and handsome men in your line! I’m glad you got closure on Baby Rose. There is an investment of time, thought and emotion to these ancestor searches. Even if the results are not what we expect at least your questions received answers that are believable. Thank you—I think so too! My Schoenthal relatives were quite good looking. Yes, I can’t say I am happy with the result on Baby Rose, but I also had to let it go. Thanks, Emily! What fun! The mystery, the search.the questionable answer. Is there a novel here? There’s a novel everywhere! So you see the resemblance to Sidney? I know how hard it is to let it go. You always wonder. But I think you may be right about a mix up caused by the death of Jacob’s mother Rose. Such a nice photo of Sidney. It’s wonderful to hear your cousins are finding you through Brotmanblog. Thanks, Cathy. I will always wonder. And yes! I love when cousins find me!! Thanks, Sharon. I hired a NJ researcher to go to Trenton and search the birth and death files (NJ has almost nothing online). I trust that she did a very thorough job as she described what she did. There is nothing there. For me, I do think the story is over. But I am happy for anyone else to try! Oh, Jacob’s mother was Rose Mansbach Schoenthal. Mansbach was her maiden name. I’ve searched all the Mansbachs also to see if they had a child born in the time period. Glad that you are able to put Baby Rose to rest. And such beautiful photos you have here! Well, they lived in Atlantic City, so they were not land dependent. Jacob was a cigar salesman and had lots of family in the city. They were all fairly comfortable—hotel owners and managers. The Depression probably did affect them, but still–where did the child go by 1940? It will nag at me, but I’ve looked everywhere I can think to look. Some mysteries just stay mysteries. Great photos! I don’t know why but I was rooting for baby Rose to exist, even if she had passed away and you hadn’t found record of her death. Ah well, what you say makes perfect sense! So was I. And I will always wonder. But I have to let it go or it will make me crazy! I do also! It’s hard to believe now, but he was VERY skeptical when I first started doing family research. Now he’s my biggest fan, along with my mother. 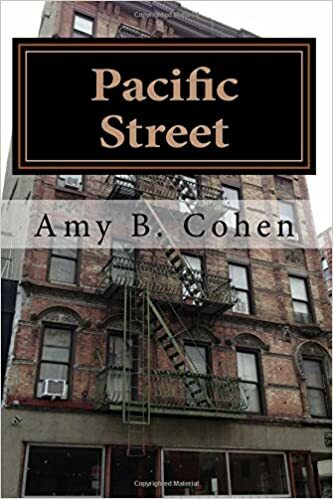 Amy–Have you ever found anything further about Margaret Swem Schoenthal? I have been linking her siblings to her parents on Find-a-Grave and would love to acknowledge her as well. If you are on Facebook, would you send me a Friend Request and perhaps we can chat about this. I don’t check my email very often since it is mostly junk anymore. I will look for you on Facebook. Thanks!